You need to see this home to feel it’s magic powers for yourself! You will fall in love once you step inside and imagine yourself creating memories in this gorgeous 4 bedroom open style layout. It has plenty of space and natural light to spark your next brilliant idea. 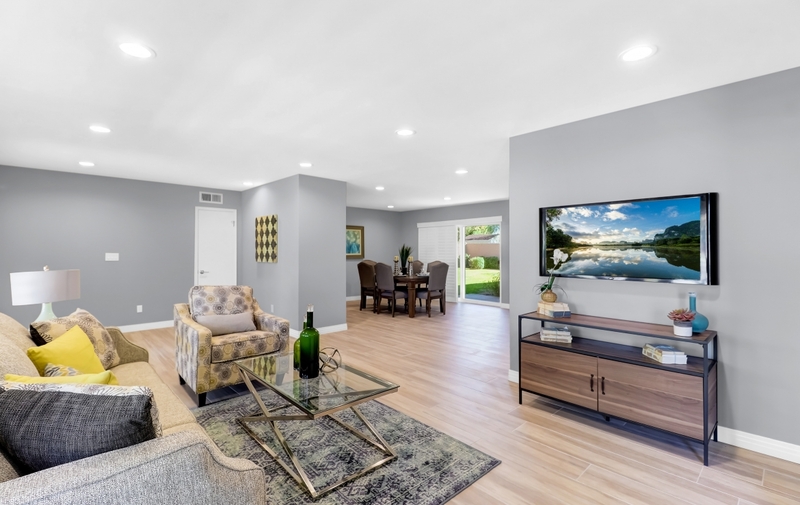 The top quality materials and finishings found throughout this fully remodeled masterpiece will make even your morning coffee brewed right from your NEW stainless steel refrigerator, built-in coffee machine a luxury! 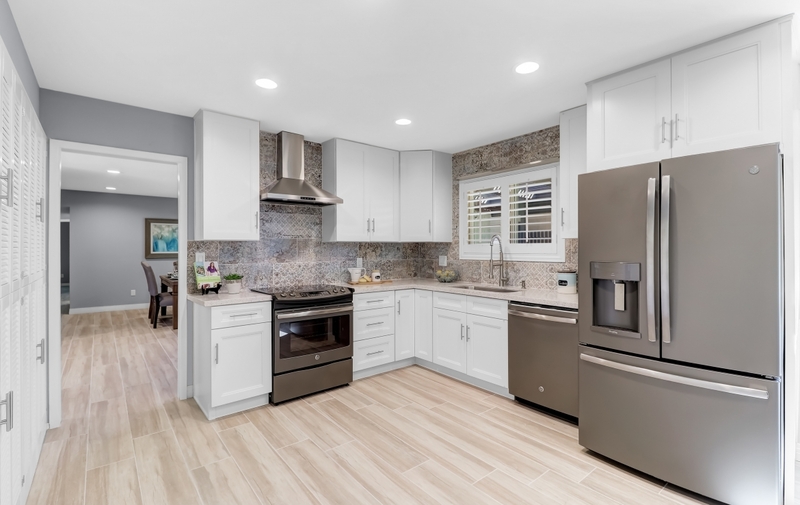 Enjoy cooking in your brand new eat-in kitchen with stainless steel appliances, custom tile backsplash, perfect amount of good quality cabinetry and pantry. Sitting in the living room gives you amazing landscape views all the way through the Arcadia sliding door overlooking a canvas of greenery. Imagine opening the plantation shutters to beams of sunlight rushing in all throughout! Fresh new neutral tone colors fill the walls of the rooms and NEW wood tile and plush high quality carpet in the bedrooms. Cozy up to the wood burning fireplace on a chilly night, as you sit and eat dinner while watching the warmth of colors from the fiery embers. 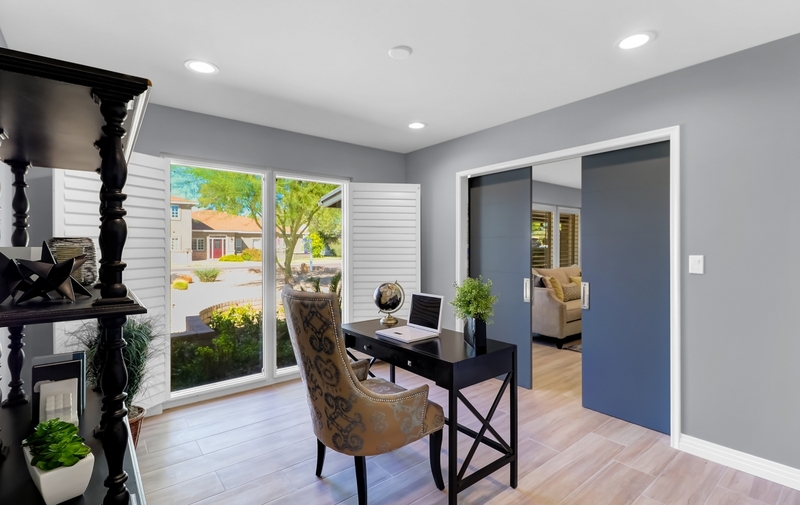 The large, high quality custom double barn doors open with ease to the dining room, or you could use the space for a study/den/office. Each bedroom offers plenty of closet space and a master bedroom suite with a walk-in closet that includes a closet organizer. 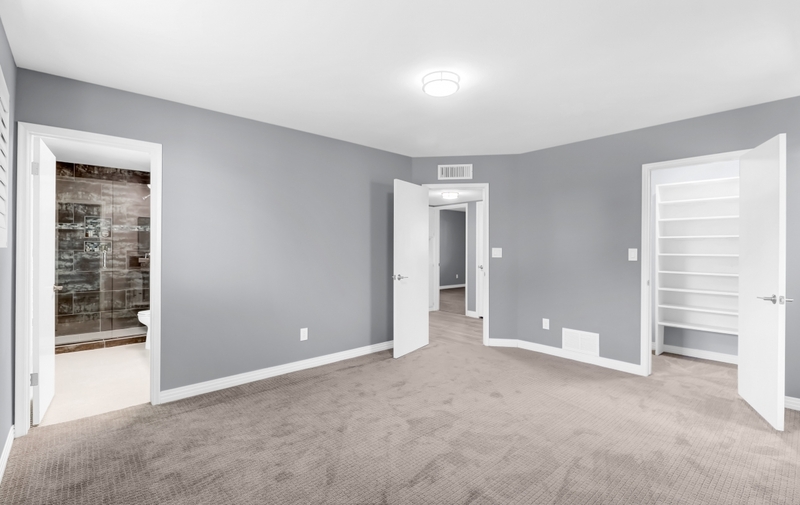 Split floor plan with bedroom and full bath, perfect for guest corridors. This can be used as a mother in law suite, studio, bonus room (it does have a closet). 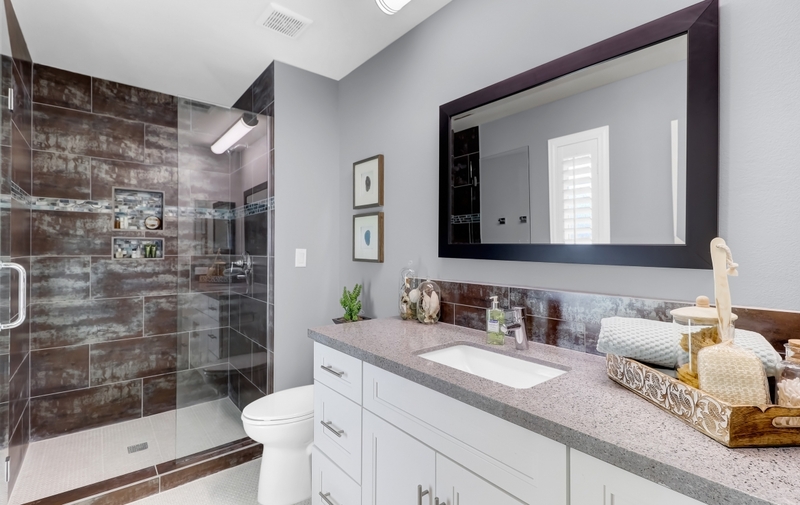 Beautiful copper-metallic custom tile work and floors in the bathrooms give a nice modern touch. Have boats and toys?? There is also an RV / trailer parking concrete slab with an electric hookup! 2 car garage with extra storage! The backyard looks like a beautiful carpet of lush green grass and is surrounded by mature vegetation/citrus trees. Tucked away in the North Central Phoenix Corridor filled with rich history, just north of Northern and 7th ave. 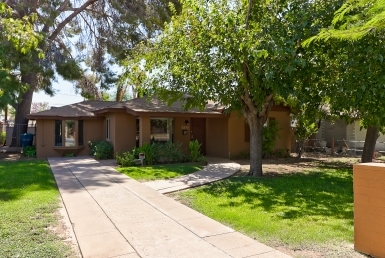 It offers the ease of convenience of location, only a few miles from downtown Phoenix, Scottsdale, and Paradise Valley. North Central is quite convenient for anyone who works in the middle of the city and beyond. 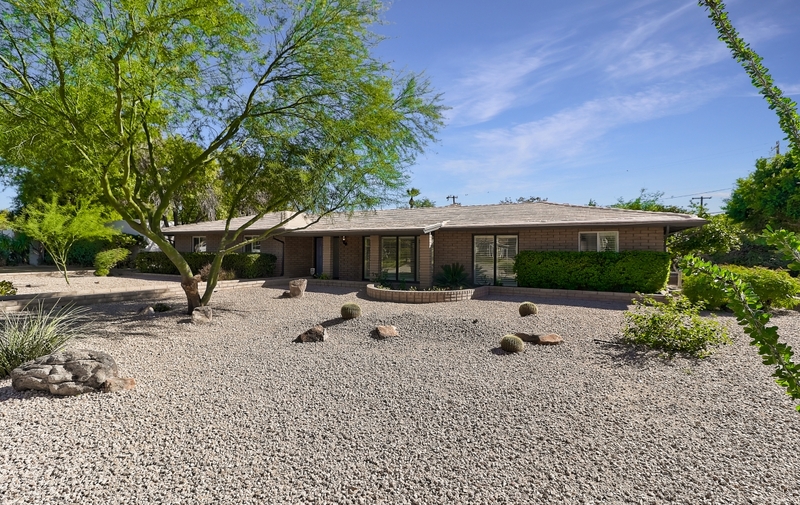 Short drive to Sky Harbor Airport and I-10, I-17 and 51 freeways! Enjoy a nice lunch or night out at Spokes & Wheel a lively bike-themed gastropub, Ladera- a modern Mexican bar, Timo wine bar, and shopping! Starbucks nearby, boutique shops galore, and fine-dining! The North Central Corridor is one of the pricier areas of central Phoenix, and with good reason. 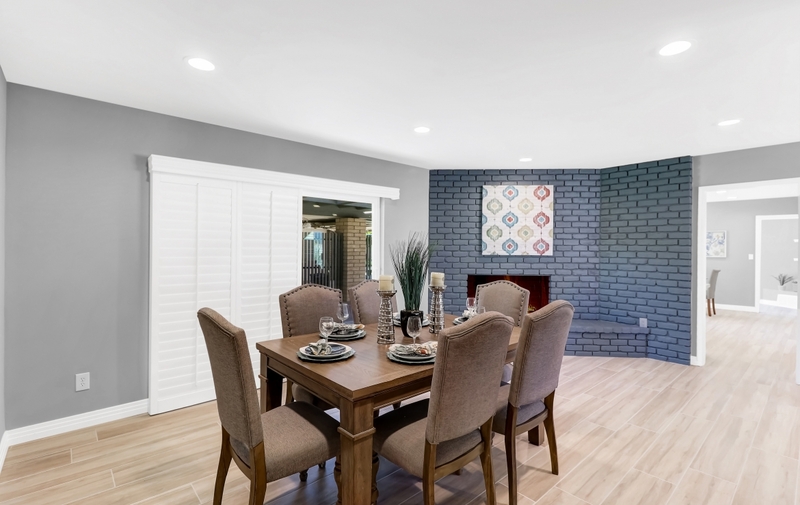 With large custom-built homes, deep irrigated lots, North Central has a decidedly rural feel despite its proximity to downtown Phoenix just a few miles south. A home in North Central range between $500,000 to $6 million and rising. 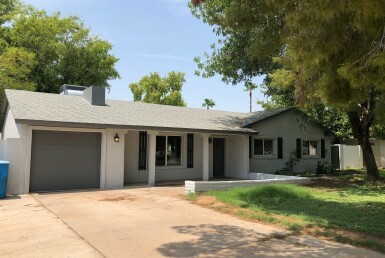 It is an area known for its equestrian history, the Murphy Bridle Path, large irrigated lots, historic homes and consistently excelling schools. 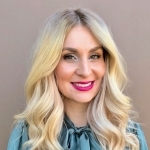 The area is within the award winning Madison School District and near Brophy College Preparatory, Xavier College Preparatory and Central High School. The streetscape of tree-lined Central Avenue and the Murphy Bridle Path are listed on both the State and National Register of Historic Places. The olive trees lining Central Avenue are more than 100 years old. You will not be disappointed. This home is a MUST SEE! !